Lets celebrate the 1 year anniversary of one of our favorite country couples Kelsea Ballerini and Morgan Evans! On Sunday, December 2, country singers Morgan Evans and Kelsea Ballerini celebrated their 1 year marriage anniversary and we could not be more excited for this power couple! Both are insanely talented individuals whose very public relationship has given fans the opportunity to follow their romance as well as budding music careers. And while the couple were unable to celebrate the day together due to their busy schedules, we’ve compiled a list of just a few of their cutest moments to help commemorate the day! Of course some of the best photos of the happy couple were from their stunning wedding in Cabo San Lucas, but in addition to sharing photos right after the wedding, People Magazine did an amazing story covering the full event. As if the wedding wasn’t perfect enough, the couple chose to honeymoon in Bora Bora! This picturesque spot is the perfect place to lounge around and tan for the dreamiest vacation possible! With a crystal clear blue lagoon and stunning views, how could you not fall even more in love during your time there? Ballerini and Evans continue to showcase that newlywed glow in their beautiful photos, giving us some major next vacation inspiration! In addition to their glamorous wedding and honeymoon photos, there’s nothing better than seeing these two together in their element. Though both Ballerini and Evans have been extremely busy with their individual tours, they have shared the stage together multiple times, especially to perform Evans’ hit song “Kiss Somebody”. With their recent success, the couple has made some amazing red carpet appearances together and have even shared a magazine cover. Though they are both down to earth and feel like the relatable friends we wish we had, theirs nothing better than seeing your favorite celebrities all glammed up and working the red carpet! If only we could all sing and rock out on the guitar like they do, we’d be walking that carpet side-by-side these two in a heartbeat! As much as we love seeing Ballerini and Evans dressed up, at the end of the day, we know they are just like any other couple. Some of our favorite moments from the duo are trips in Tahoe, days by the pool, football games and funny embarrassing pictures the two share of one another. Doing long distance while one of them is on the road can be difficult, but these two really seem to make it work with all of their adorable dates and romantic gestures! Check out some of the sweetest holiday pictures below! With the year coming to a close, it is the perfect time to reflect on all of the great memories we have had! In 2017, the country duo claimed to be “unapologetically in love” and we hope 2018 was just as amazing for the two of them! Like their ever growing careers, it seems that these two have a love that will only continue to blossom. Happy 1 year anniversary Morgan and Kelsea! 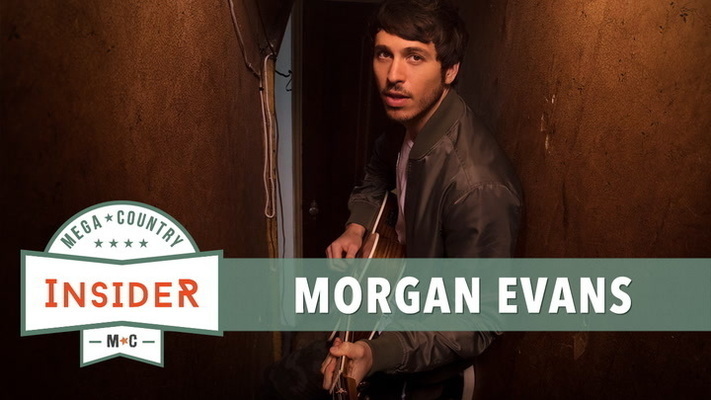 For more information on the two artists and what they are up to right now, check out Morgan Evans and Kelsea Ballerini’s official websites. And make sure to get your tickets to their upcoming shows!